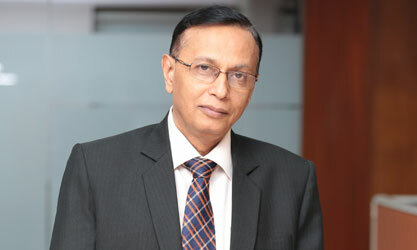 Mr. H R Dave has done his Post Graduate Diploma in Management from IIM, Ahmedabad in 1983. Prior to assuming the charge of Deputy Managing Director of NABARD, Mr. Dave, a career NABARD officer, has held various positions in NABARD, including that of Director of Bankers Institute of Rural Development [BIRD], at Lucknow and Chief General Manager of Corporate Planning Department at Head Office. He has successfully steered NABARD’s engagements in rural development in the state of Gujarat, New Delhi and Arunachal Pradesh in the capacity of Regional Office in-charge. innovations in rural banking such as measures for mitigation of drought in Gujarat and JLG based scheme of financing of agricultural innovations. He is accredited for NABARD’s maiden entry in financing solar projects such as Canal Top Solar Power project in Gujarat. Further, he has extensively worked on reforms in cooperative credit system. He has also worked as member of secretariat to RBI Committee on Enhancing Flow of Credit to Agriculture, besides executing advisory services assignments for national and international agencies such as GIZ and IFAD. Mr. Dave has represented NABARD in several international fora including Micro Credit Summit, APRACA, Green Climate Fund and also negotiated collaborations with multilateral and bi-lateral funding agencies. He is currently Chairman on the Board of NABSAMRUDDHI Finance Ltd., besides being a Director on the Board of NABARD Consultancy Services Ltd [NABCONS] and Governing Council Member of Bankers’ Institute of Rural Development (BIRD).